Two wealthy regions of northern Italy voted overwhelmingly on Sunday (22 October) for greater autonomy in referendums that could fan regional tensions in Europe at a time when Spain is striving to prevent Catalonia from breaking away. Millions of people in Lombardy and Veneto, both run by the once openly secessionist Lega Nord party, voted more thaé”n 90% for “yes”, according to preliminary results released just before midnight. Ballots closed at 23.00. The party called the referendums to secure a mandate to negotiate a better financial arrangement with Rome, an ambition that mirrors Catalonia’s goal to claw back taxes from Madrid. 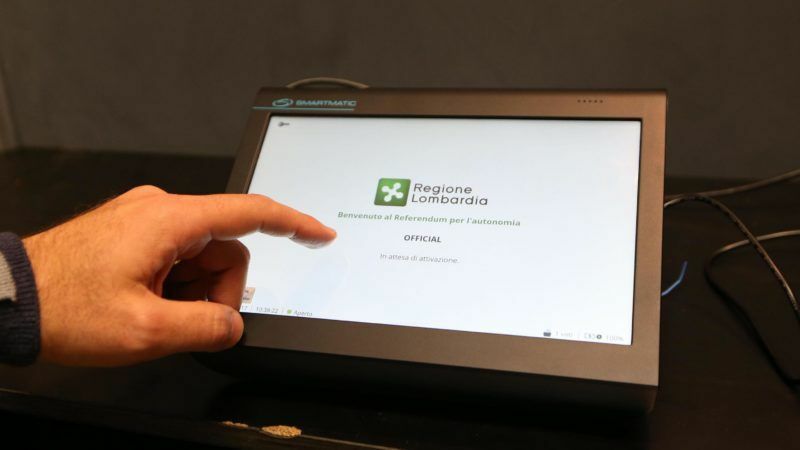 The preliminary turnout in Lombardy was above 40%, Lombardy President Roberto Maroni told journalists when announcing preliminary results. In Veneto, it reached 57%. “We can now write a new page: the regions that ask for more power will get it,” Maroni told journalists in Milan. “I am talking for example about the power to discuss tax proceeds that normally go to Rome … this is the first step on a path towards big reforms,” he added. Unlike Catalonia’s 1 October independence referendum, which Spain had declared unlawful, the Italian votes were held in line with the constitution. But they are not binding on Rome. Lombardy, home to financial hub Milan, accounts for about 20% of Italy’s economy, which is in turn the eurozone’s third largest. Veneto, which includes the tourist magnet Venice, accounts for 10%. In both regions, many people complain their taxes are wasted by the central government, accusing Rome of delivering low-quality public services and diverting money to the poor south. “Lombardy and Veneto have two efficient administrations and public services work well, much better than in other Italian regions … this is why I think it is worth asking for greater autonomy,” said Massimo Piscetta, 49, who voted outside Milan. Lega Nord was established in the 1990s to campaign for an independent state of “Padania”, stretching across Italy’s north, from around Lombardy in the west to Venice in the east. It no longer campaigns for secession and its top leadership is trying to broaden its appeal beyond the north ahead of national elections expected early next year – a goal that could be undermined if the referendums rekindle north-south tensions. Lega’s political opponents say the votes were a waste of time and money, given that the constitution allows regions to enter into negotiations at any time with Rome to take on more functions from the centre. Giovanni Orsina, history professor at Rome’s Luiss-Guido Carli University, said before the referendums that a strong “yes” vote could deepen the old north-south divide that dates back to before Italian unification in the 19th century.